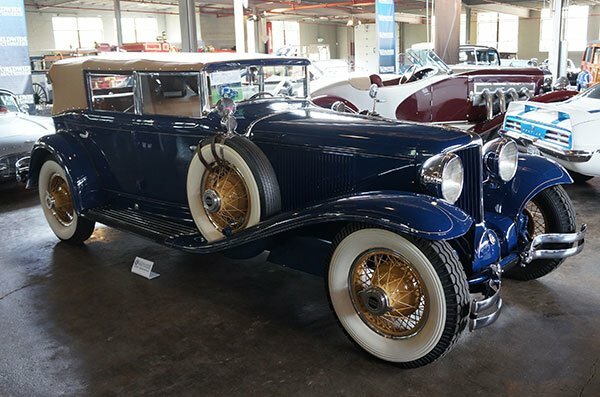 Worldwide Auctions held their Auburn Auction sale in the building behind the A-C-D Museum where NATIMUS has their considerable collection of trucks and toy cars. 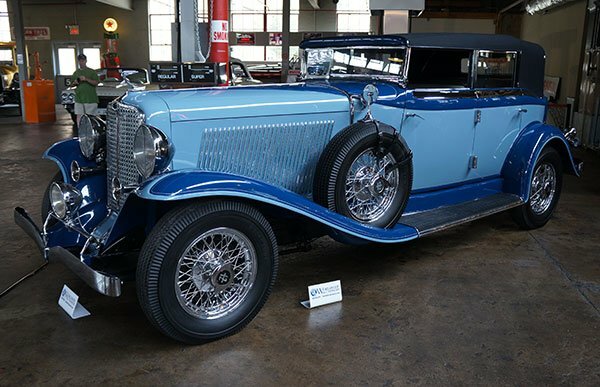 Among the top cars in the sale were the AB Jenkins salt flat racer and several Auburns and Cords. There were some collectible treasures to be found here. 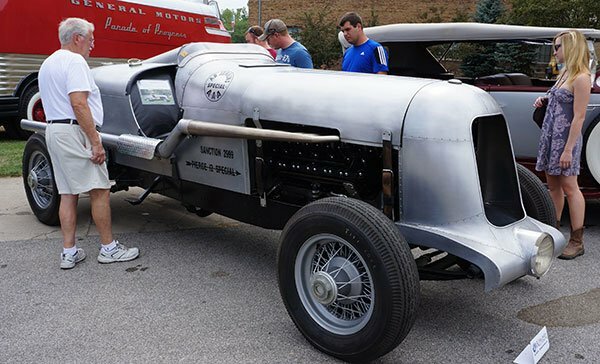 Marvin Jenkins built this 1934 Pierce-Arrow salt flat racer to replicate the original AB Jenkins race car that set a record on the Bonneville Salt Flats. This is quite a coup. 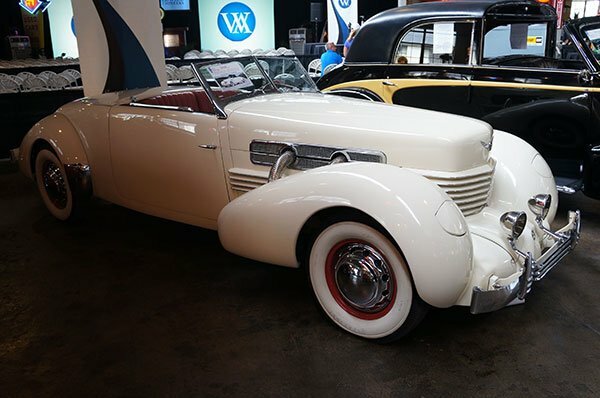 Worldwide will be selling a 1937 Cord Convertible at their Saturday night sale. 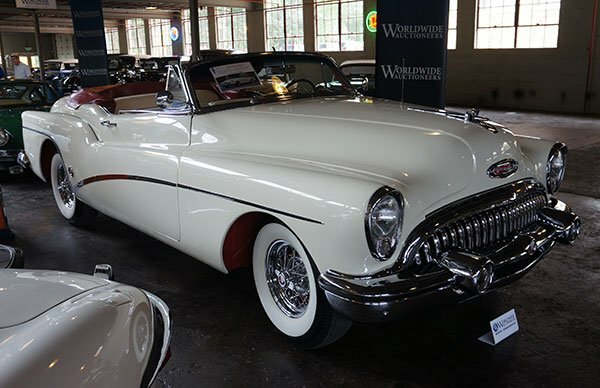 Buick built the anniversary edition 1953 Buick Skylark Convertible to show that they could. In its day it was the luxury car fantasy dream. Buick actually lost money on every Skylark they sold that year but they build their luxury car reputation on it. This treasure will be sold in the Saturday auction at Worldwide. Wow! Look what we found in the Worldwide Auction lineup for Saturday evening. 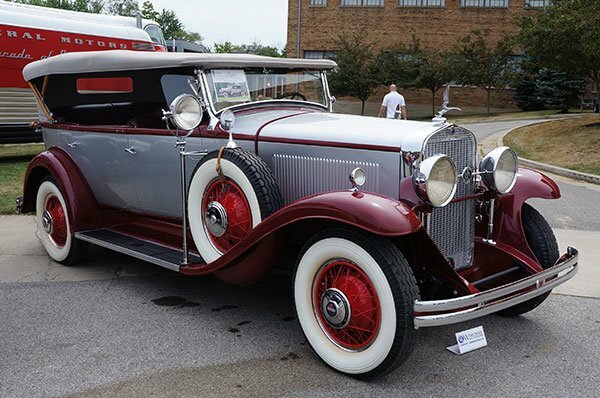 It is a 1930 Cord L29 Phaeton … a wonder to behold. Auburn “bet the barn” on sweeping the market by putting their 12 cylinder engine in their cars to outdo Ford’s V8s. 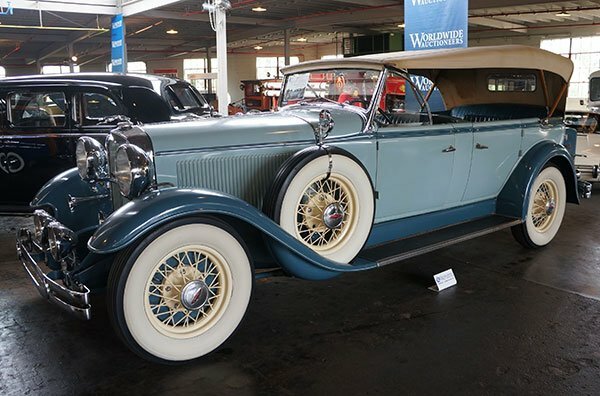 Here is a 1933 Auburn Twelve Custom Phaeton Sedan that was offered in the Worldwide Auction. The 12 cylinder models never sold as well as Auburn thought they would. But the remaining Auburn Twelves are collector treasures. 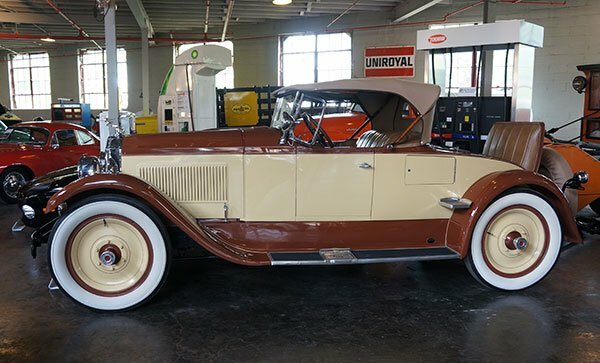 A 1931 Lincoln Model K 7-Passenger Sport Touring was also in the Worldwide sale. This touring car is truly rare. It is one of only 45 ever built and one of two known to exist today. It was formerly from the Homer Fitterling Collection. A 1926 Pacard Six Sport Roadster was also part of the sale. Notice the beautiful period wheels.